What happens when you merge classic Super Mario Bros with the modern classic Portal? It’s hectic, it’s a ton of fun, it’s Mari0. Basically you get old school Mario re-imagined with a portal gun and a variety of Portal puzzles and mechanics. There’s also an insane four player co-op mode, level editor, and downloadable third party map packs. The game is somewhat maniacal but that’s what makes it fun. As expected, controls are a cross between Mario and Portal: Left-clicking a mouse will shoot the entry portal, and a right-click gives you the exit portal. 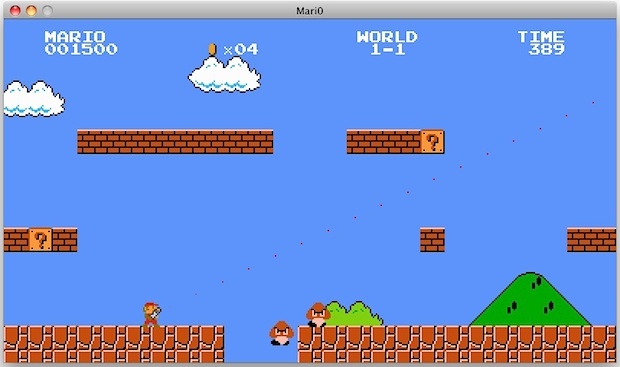 Mario himself is moved around with either the arrow keys or the classic WASD triangle with spacebar as jump. You might want to grab this quick though, as LoopInsight mentions, Nintendo probably won’t let this one stick around for long. Wow. Just downloaded this. its really cool. The portal mode is probably the best. Well, I know how I’m passing the evening. Where is the PPC version? If anyone wants to take a closer look I found this let’s play that’s pretty good. The game itself is incredible.